It is only natural that you would want your home to be as safe as possible. That is where our residential locksmith services come in. We are dedicated to repairing, installing, rekeying, and replacing locks as each individual situation dictates, and we are experts at what we do. Following an assessment of your particular situation, we will help you figure out what the best course of action is. A lock tends to break gradually over time. The key sticks more and more, and you do not really notice, because you use it several times a day. However, it is a good idea to try to pay attention to changing circumstances in your home locks. When something does come up, and the lock starts acting differently, we recommend that you take action as soon as possible. Doing so will ensure that the security of your home is not compromised. We are able to help you with both smaller and bigger faults in your lock. No matter what time of day you may get locked out, we are here to get you back in. Our experts can open your door for you, and make any necessary adjustments to your locks and keys. Our 24-hour lock service is your guarantee that your locks are in good hands, no matter what time of day it is. Aside from emergencies, this also means that you can fit your residential locksmith appointments around your work schedule and other activities with no hassle. High security locks may not seem necessary to you, but it is worth considering whether they might be a good option. Events such as having a baby or moving into a new house can mean changing the locks on the house completely. If you are doing this, take into account that a higher quality and more secure lock could be the best way to go. We are able to help you choose the best lock for your circumstances, be it high security or not. As professional residential locksmiths, we want to make sure that you have the right lock. 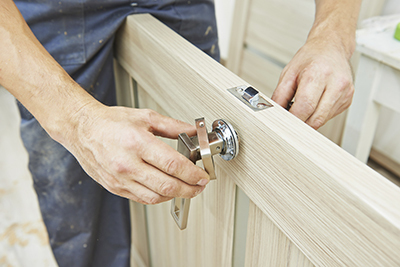 We rekey, replace, install, and repair all types of locks, and can also apply locks to windows and other areas to increase the security of your home.